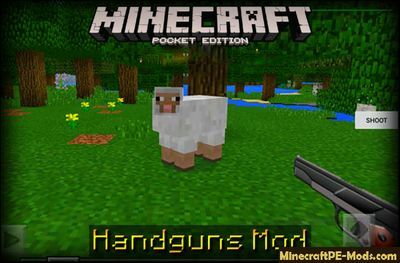 Handguns mod — this mod adds two types of weapons in Minecraft Pocket Edition and 1 clip of ammunition for these guns. 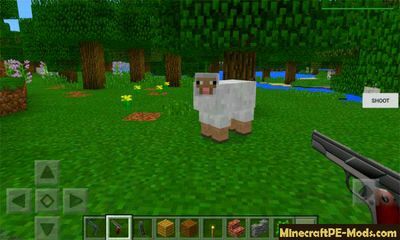 These weapons are much more powerful than those that are already in the world of Minecraft PE. Mod Handguns will allow you to feel safe. To be more secure when in the game the night comes. Pick up one of the weapons, and make sure your inventory has at least one clip of ammunition. If on the right side of the screen is the "reload" button, then click on it to reload your weapon. Then you can press the "shoot" button to shoot with the selected weapon.